With a Special Screening at Cannes, Hong moves the setting away from Korea to 2016 Cannes itself, though the cast remains largely Korean. Man-hee (Kim Min-hee), a film sales agent working at the festival, suddenly finds herself sacked by her boss, Yang-hye (Chang Mi-hee), for she no longer believes Man-hee to be honest. Left somewhat bewildered by this, we later discover that the probable real reason for her dismissal is her love affair with drunken director So (Jung Jin-young), Yang-hye’s lover. A short film at only sixty-nine minutes, Hong somehow manages to pack many of his usual trademarks in here. The use of extensive dialogue over alcohol sees lots of long takes, with background noise and distractions included, creating a naturalistic feel missing from most films, but allows for awkward moments. As with “Hill of Freedom” and “In Another Country”, the use of English by non-native speakers heightens the awkward conversations that start off light, but always end up heavy; zooming in, as ever, to emphasise this. The reoccurring characters of the slightly older director and younger female subordinate also feature, as does the drunken one-night stand they share and the conflict this creates in them. A possible criticism of Hong’s work is that it can be a little too “in cinema,” with the ever-present verging-on-alcoholism film director at a film festival coming to terms with his personal life. 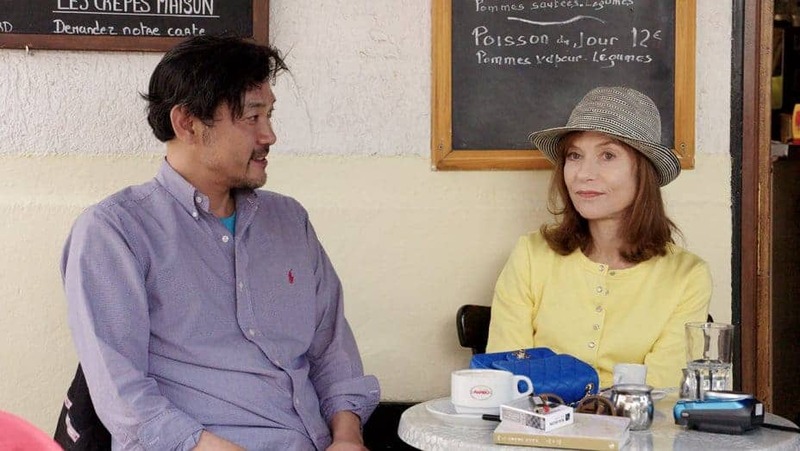 Filmed at Cannes 2016 and screened at Cannes 2017, one wonders who this film was made for: seemingly aimed at a wry smile from the industry; though the short running length will see this have less of a commercial release internationally. Like his leads, Hong’s films are festival darlings, completing the rounds, but with “Claire’s Camera” reminding the viewer of so many of Hong’s other films, is there enough humour and charm to offer anything new to audiences and his fans as it breezes by? Well, perhaps like So with alcohol: you don’t need more, but you can always go for another round.